Wildwire Wanaka’s Lord of the Rungs experience needs to be seen to be believed. Auckland, New Zealand, 2017-Sep-20 — /Travel PR News/ — It’s wild, wet and 450 metres on high – Wildwire Wanaka’s Lord of the Rungs is the world’s highest via ferrata waterfall climb and New Zealand’s newest adventure thrill. New Zealand’s connection with adventure tourism is well known – from AJ Hackett and the bungy to high-speed jet boat thrills and ski planes landing on mountain sides. If there’s a new tourism adventure to be had, you can likely guarantee that there’ll be someone somewhere in New Zealand either dreaming it up or already developing it. Latest on the menu, the seriously cool Lord of the Rungs – the highest via ferrata waterfall climb in the world – is completed and ready to open on 16 September. Alongside the spectacular Twin Falls shooting down a sheer rocky hillside, near the South Island alpine resort town of Wanaka, the via ferrata system of rungs and cables rises a near perpendicular 450m above the valley floor taking climbers on a 6 to 7-hour adventure that ends with a heli flight descent. 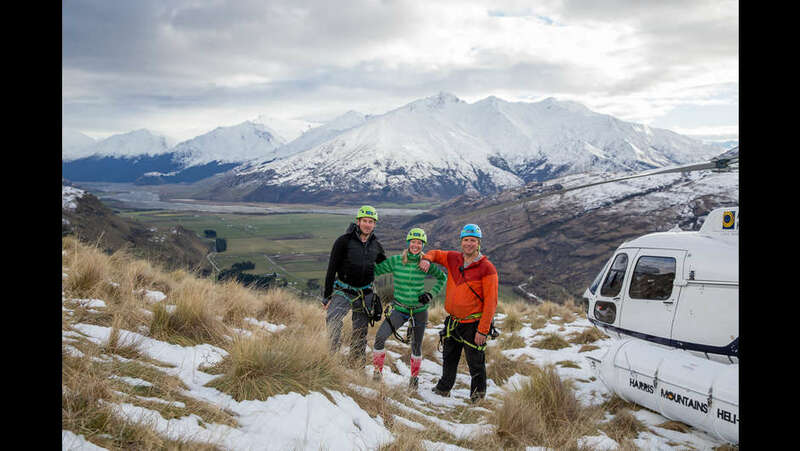 Mountaineer turned tourism operator and guide, Mark Morrison has been working on his latest adventure activity for a couple of years, and is now poised to launch the third stage of his Wildwire Wanaka climb. After years of climbing, mountain guiding and safety assignments around the world, Wildwire Wanaka is “a coming home, settling down with a family opportunity” for Mark and his business partner and wife, Canadian-born “half-Kiwi” Laurel. The couple, who originally met in Antarctica, worked together around the world until setting up their new business in Wanaka three years ago. Now the parents of two children, Mark says Wanaka is their “perfect lifestyle choice”. Wildwire Wanaka has exclusive access to Twin Falls which sits on a private farm about 20 minutes by road from lakeside Wanaka. Nearby Aspiring Helicopters are also on hand to fly in clients from around the Otago region and, in the case of ‘lord of the rungs’ climbers, return them to terra firma. Three climbing options on the Twin Falls give clients of “all fitness levels and abilities” a full range of experiences from the 3-hour ‘go wild’ beginner climb to the longer, ‘wild thing’ intermediate ascent and the latest more technical ‘lord of the rungs’. This entry was posted in Adventure Travel, Tourism, Travel, Travel Marketing and tagged adventure thrill, Lord of the Rungs, New Zealand, Wildwire Wanaka, world's highest via ferrata waterfall climb. Bookmark the permalink.